Perception were commissioned to specify and install a versatile theatrical based AV solution within the Bloomsbury Ballroom in central London, home to the London Cabaret Club. 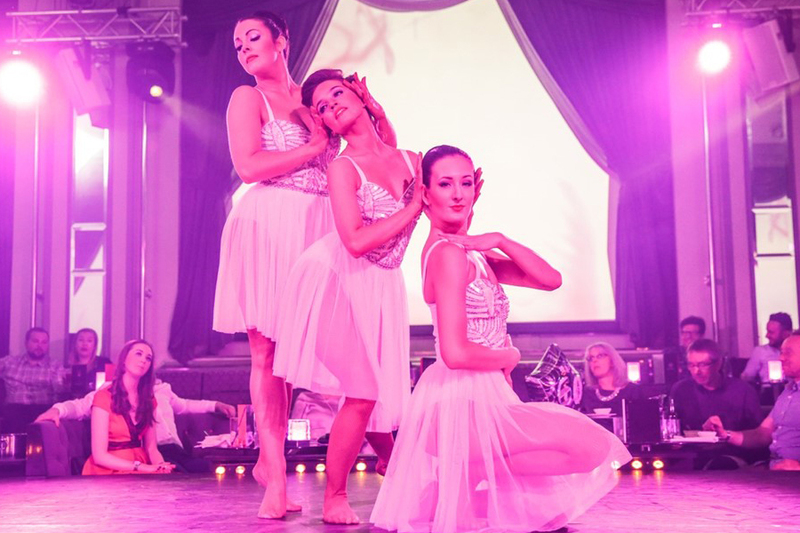 The brief was to enable a system that allowed for a User friendly show-reel based approach for the users to run cabaret shows utilising inhouse lighting, projection and audio. The system also had to facilitate for connectivity by external lighting controllers and audio desks for larger shows, and to have the ability to hang and control additional lighting and audio fixtures onto the already installed, but accessible truss rigs. The show had to work in various orientations within the space and this was very much considered within the system design. The Client wanted to make use windows running along the length of each side ( 3 per side that were 3.6m wide each ) of the space were to display HD moving graphics content, during the show, to maximise real-estate and demanded the perfect blend of substance and style. The building itself is grade listed so the team had to carefully consider the approach with regard to permanent installation. There were 4 marble pillars on either side of the rectangular shaped ballroom. The team firstly had to plot the best routes with by which to establish an AV cabling backbone for DMX, audio, control and HD video distribution. The only way to achieve this was to instruct the building contractors to establish and high and low level containment solution that matched the aesthetic of the ballroom – This way the cable routing was low impact and non-intrusive. A truss solution had to be put into place to mount audio speakers and lighting fixtures at each pillar location at high level. The only way to achieve this without physically fixing the truss onto the marble pillars was to specify a floor to ceiling dual pole mount system, box in the lower dual pole portion, and fix the truss onto a back plate and then onto the solid wall. The specified projectors were fixed to the ceiling slab through a small void and presented at near o flush ceiling level, the projection was thrown at the 4:3 electric window screens at diagonal throws to cover all 6 display areas. The design team specified 6 x WUXGA projectors at ceiling level, and 4:3, 3.8m wide electric screens (6) to cover each window. The projectors themselves were fed via a HD Base T video distribution system which was interfaced on a laptop via ethernet control. The team were allocated a production booth area at high level where all AV equipment racks and the main control was installed, and all AV infrastructure cabling was run back to. The lighting fixtures, and audio speakers were then hung onto the pillar truss’s with all system lighting show files programmed and audio system EQ’s to suit the various orientations. The main stage truss was then hung onto existing and verified anchor points with all specified lighting fixtures and audio was programmed and EQ’ according to the already installed fixtures and speakers. The system was fully commissioned and handed over to the Client with training and full User manuals. The installation was completed by our integration team in just under 1 month. The overall project was intricate and complicated, but a resounding success for the owners. Upon completion it was apparent that they needed a team to run the show so we stepped in with our stage managers, sound, lighting and visual technicians to provide this service. 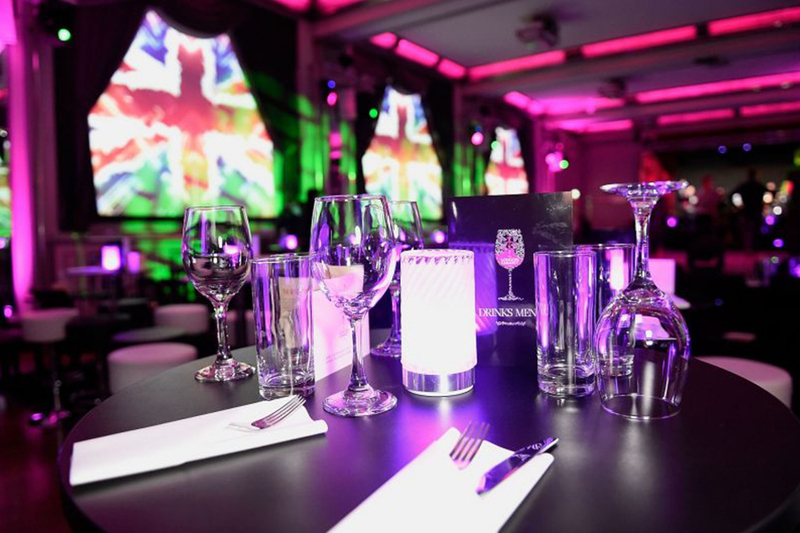 As the Bloomsbury Ballroom is a venue during the week, we now provide our crewing service to turn the space around in less than 3 hours, which maximises versatility and enables the space to provide for their Clientele.